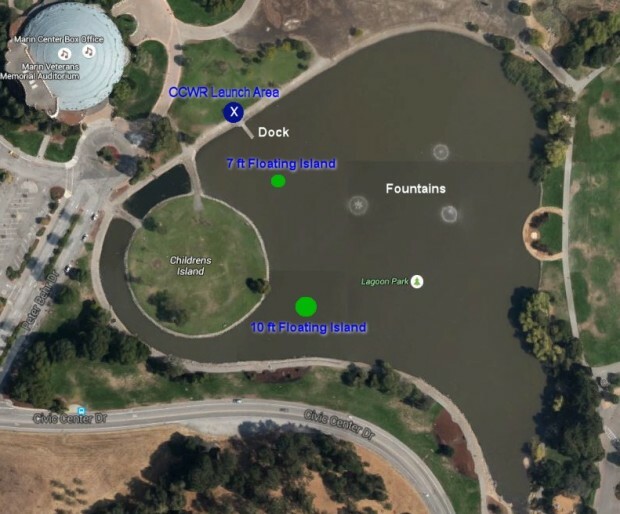 work to improve the water quality of the lagoon. 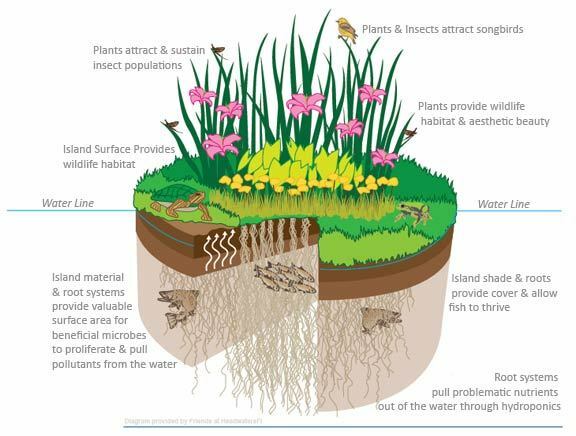 This will take place through a natural filtration process by the islands’ vegetation. The planting and launching of these nature-based biofilters will take place on October 16 from 2:45 – 4:15 PM during the annual Bioneers Conference at the Marin Center in North San Rafael. 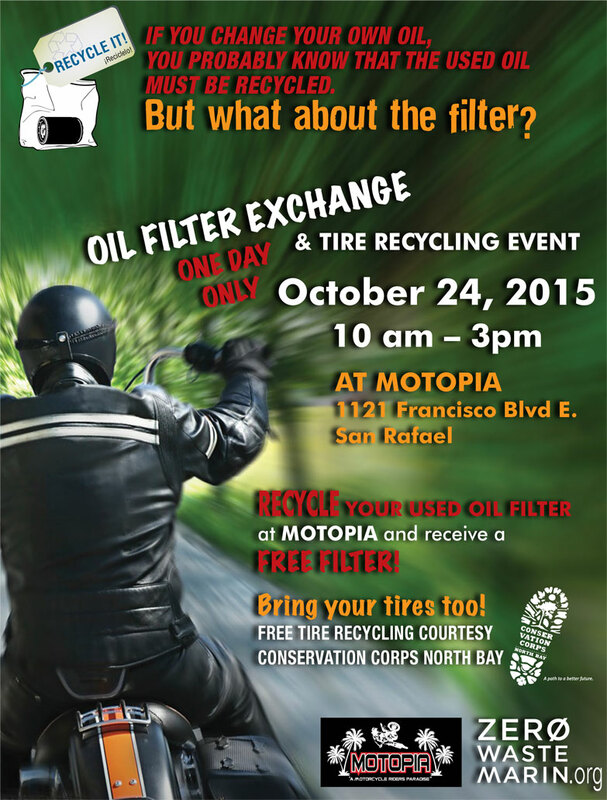 ZeroWasteMarin has teamed up with locally and independently owned Motopia motorbike shop in San Rafael to offer area riders the opportunity to exchange their used motorbike filters for a new one at no cost. 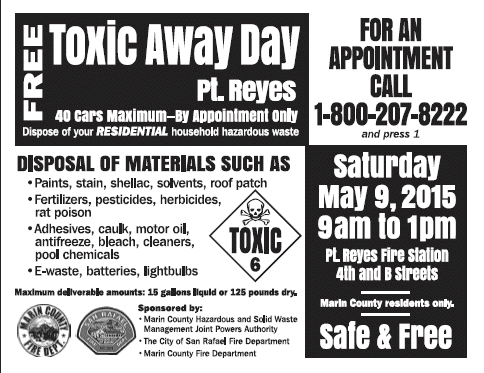 In addition, Conservation Corps North Bay will be providing used motorcycle tire collection on site during the event, at no cost to riders. 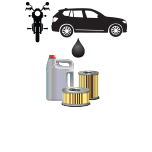 Did we mention the filter exchange, and tire disposal are free?!! 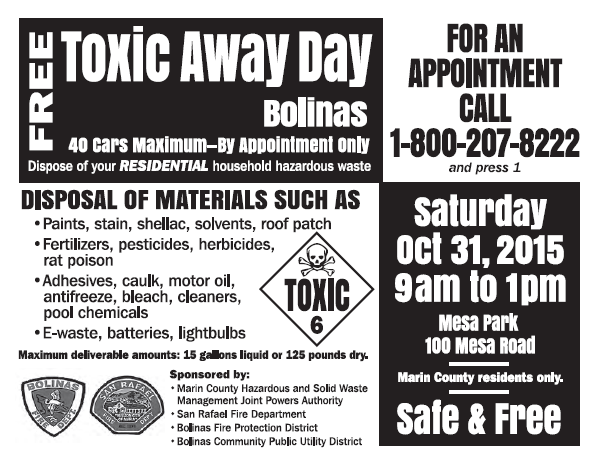 Are you interested in saving money on your garbage bill? How about an interest in supplying fresh soil amendments to your garden or yard? Your opportunity is now! 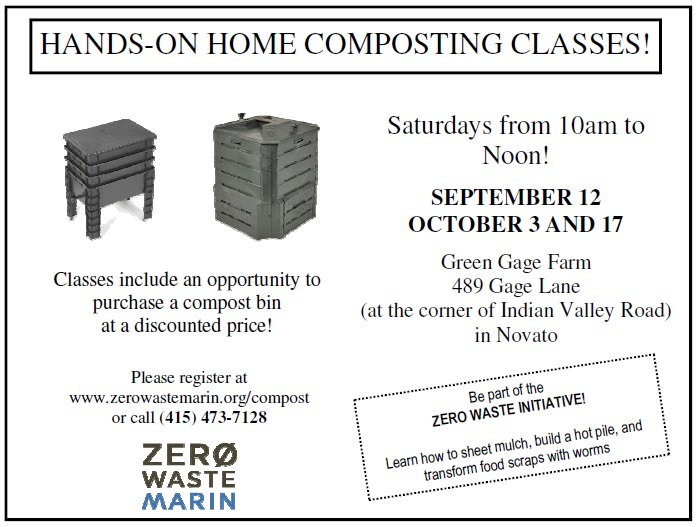 ZeroWasteMarin, in conjunction with Sustainable Novato and Green Gage Nursery have teamed up to provide composting courses to Marin County residents. 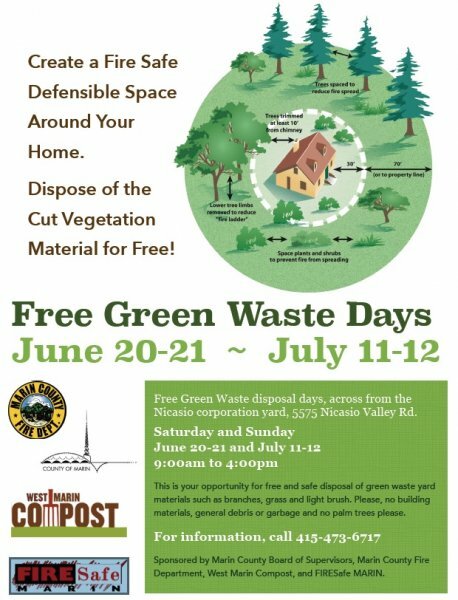 Two hour classes will teach basic composting skills such as mulching, building a hot hole, and transforming food scraps with worms. Students will also have the opportunity to purchase a compost bin or worm farm at a discounted rate. More information on the course can be found in the PowerPoint link below. Fee: Please remember to bring a check for $10 with you to the workshop, made out to Nancy Niche. If you’d like to purchase a compost bin, please bring another check for $25, made out to the Dept. of Public Works. Sign-Up: Click here to sign up. On September 26 from 10 a.m. to 2 p.m. a number of local Law Enforcement Agencies and the Drug Enforcement Administration (DEA) will give the public its another opportunity to prevent pill abuse and theft by ridding their homes of potentially dangerous expired, unused, and unwanted prescription drugs. Bring your medications for disposal to any of 9 drop-off locations. The service is free and anonymous, no questions asked.